Be aware that this will clear your current progress, and there is no way to undo that. That's one of the reasons I'd like someone else to test this as well as me! 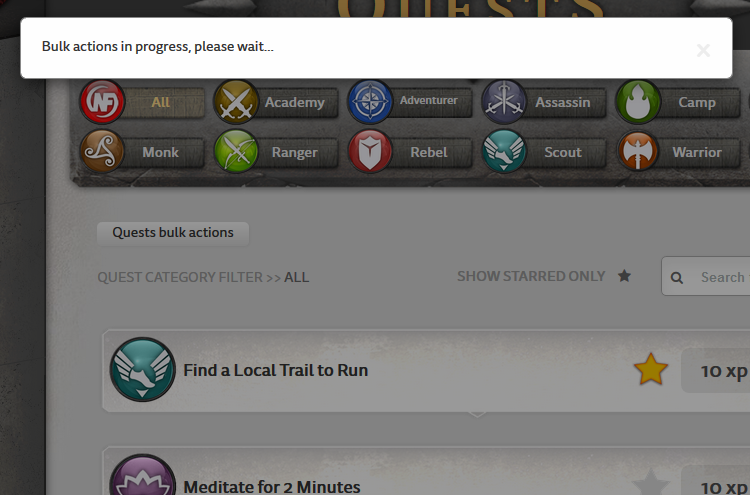 After clicking the "Reset all quests" button, and then "OK" in the confirmation dialog it will look as if nothing i happening. But please just be patient and wait. 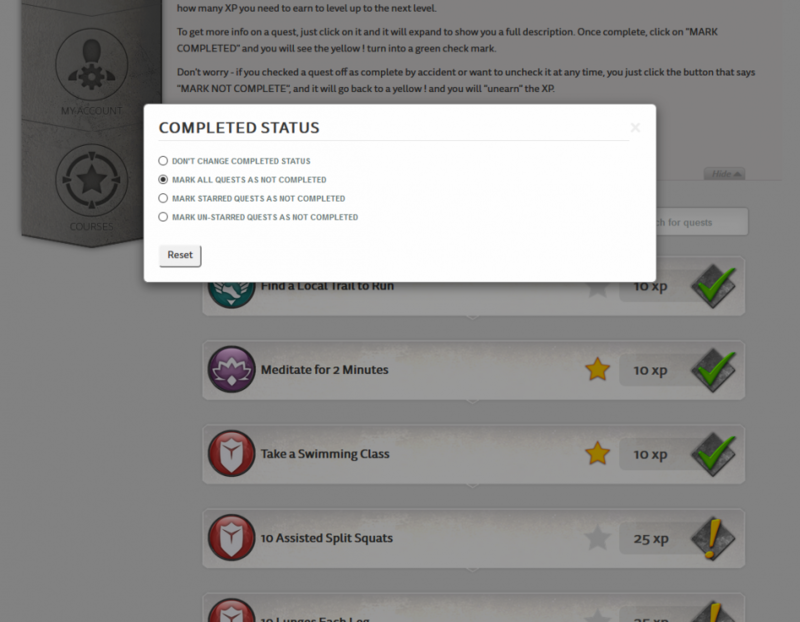 After 10 - 30 seconds the page should reload and all quests should be marked uncompleted. Found a nice guy in the NF Facebook group that agreed to test the script for me. And it worked! So now that it's not just me that it works for I decided to flesh it out a little bit! 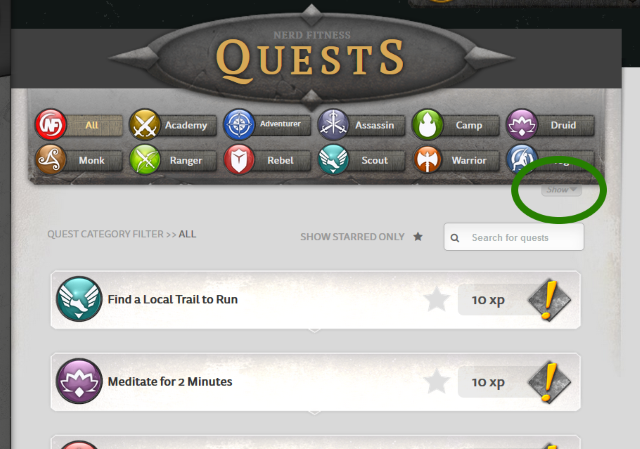 You now get a dialog that gives you more control over exactly what quests to reset. Please let me know if you can think of any more options that you'd want to see here. 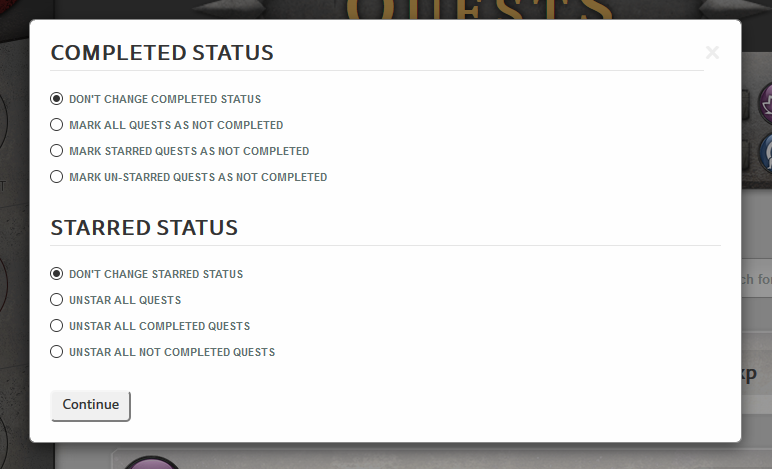 Also added a "please wait" message that is shown while the script does its thing No proper progress report yet though. Will look in to that later! And as I said above - please let me know if you have any other ideas about what you want this script to do! So version 0.3 is out! Decided to rename it "Bulk Actions" instead of "Reset" since it does both completed status and starred status. Let me know if you can think of any other bulk actions you might find useful! I also decided to remove the final confirmation dialog. Since you already have to click twice (first the radio button, and then the "Continue" button) I think that's safe enough. Since I renamed it, there is a new installation link. Automatic updates will not work. Remove the old script first. Doing God's work. Please let me know how to do it. 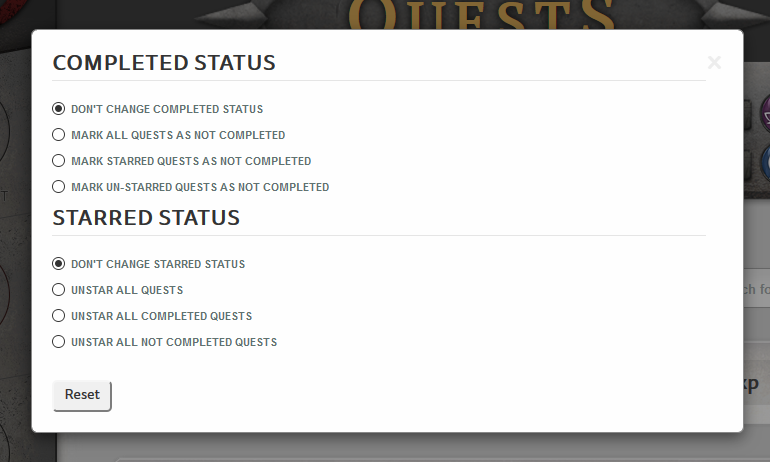 I am having to do it multiple times as I have to scroll down to show more quests each time. Seemingly have done it all, but still have 35 XP. Can verify that I've been able to uncheck all (as far as I can tell) and I still have 35 XP. 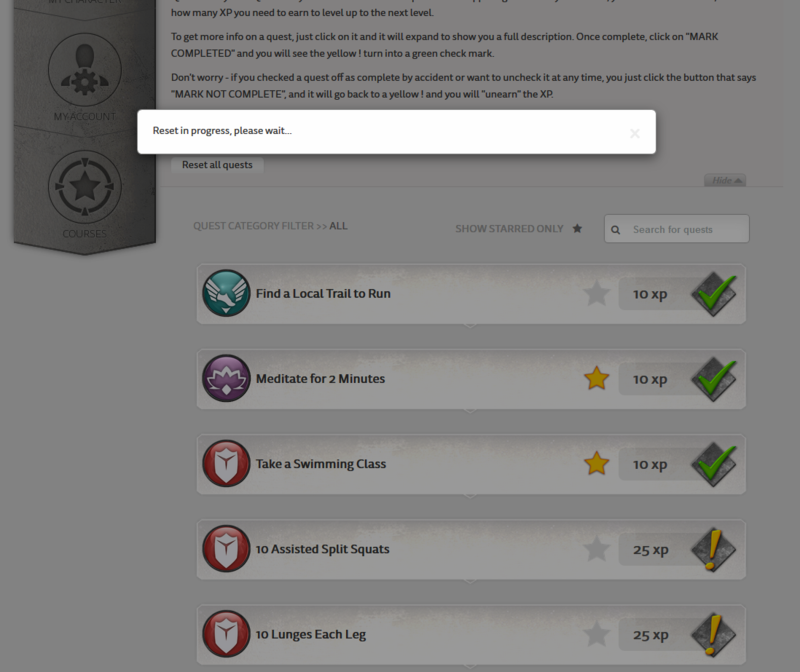 I even went in and maximized webpages in Chrome properties, but the My Quests page only shows a few and then I still have to scroll to get more.